The cardboard boxes have started rolling in and out of my house like an Amazon distribution center as I have have been feverishly preparing for vacation next month. Here's what I really need: an extremely comfortable pair of shoes that is also chic and cool. I need to be able to hit a market, a museum, and a walk to a village all in one day without needing to change shoes. Also, I don't intend to wear my Lululemon on vacay, so chic and cool is def a requirement. I stumbled upon these fabulous Aloha Sandals on Moda and freaked. The prices are almost as fabulous as the styling. I ordered a couple of pairs to try. The Vegas is my number one choice, because I love a flatform. This pair looks a lot like a cross between my favorite Chloé and Céline espadrilles purchased a couple of years ago that I have literally worn out. My second purchase was the Ibiza. They just look super chic and practical for the clothes I intend to travel with. I have some reservations about the slingback, tho, and I ordered a 1/2 size down to try and hedge off a loose strap issue. Next choice, if either of those two don't work? The Christinas. This is probably a wiser choice that the Ibiza and I vacillated a long time betweent the Ibiza and the Christinas (not sure why one is plural and the other isn't) before choosing the Ibiza. The thing for me is an open toe. I am a little freakish about freeing the toe. But, if you are not a freak like me and are also wary of a sling-back, this is your shoe, maybe. In any event, they are super stylish and will literally shut it down if paired with a white jean. The Rome Studded would have been my number on choice if it came in black. Black just works better for me than olive, although I find olive to be a chic neutral that is very practical, especially if you are more prone to neutrals than colors (I am a sucker for strong color or black). No sling back, yet an open-toe. Nice. The tiny stud is also totally on fleek this year. The Ava Night Sandal is a classic greek that is aptly named, because I do think it does day-to-night easily. So, perhaps, it is the most practical shoe in the line. 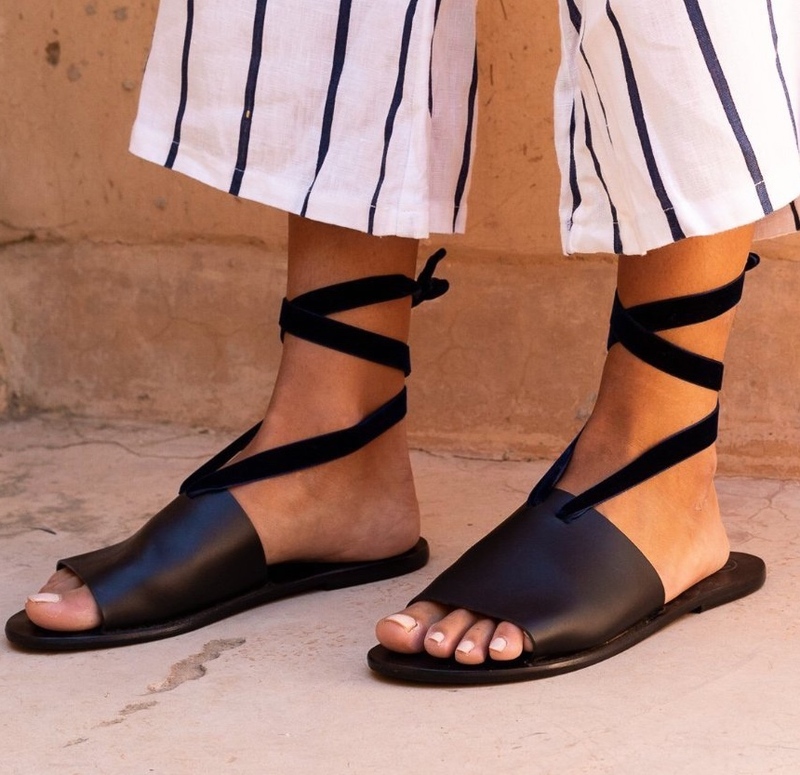 I can see this sandal with just about every summer dress I have in my closet and also think it would be perfection with jeans and shorts.